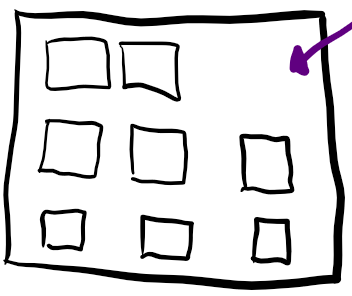 Related Actions that drill from one component to anotherDone right, 95+% of my work will launch from tiles. The Navigator becomes my safety net. I reach for the Navigator once a year or every few years to complete some obscure configuration task reserved for implementation. 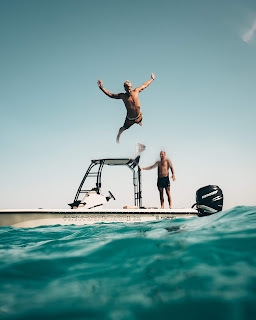 Starting with his post PeopleTools 8.55.x - Branding - Part I - What has changed, Sasank Vemana provides a series of articles describing how to brand Fluid. If your organization supports multiple branding themes, then the PeopleTools delivered branding module and branding macros concept described by Sasank are a perfect fit. Although a fair amount of effort to configure, I didn't mind the macro concept provided in PeopleTools 8.55. But when PeopleTools delivered 8.56 with a brand new macro set and guidance suggesting we either start over with the new macro set or update ours with their new macros (which included evaluating all of our other macro changes), I folded. The scale had tipped. I realized that branding macros were not a "once and done" proposition. It was clear that maintaining branding macros would be more time consuming than injecting a little CSS into Oracle delivered stylesheets. I have this rule: If a configuration alternative exists, but that configuration alternative requires significantly more ongoing maintenance effort than customizing, I will choose the customization. Why? 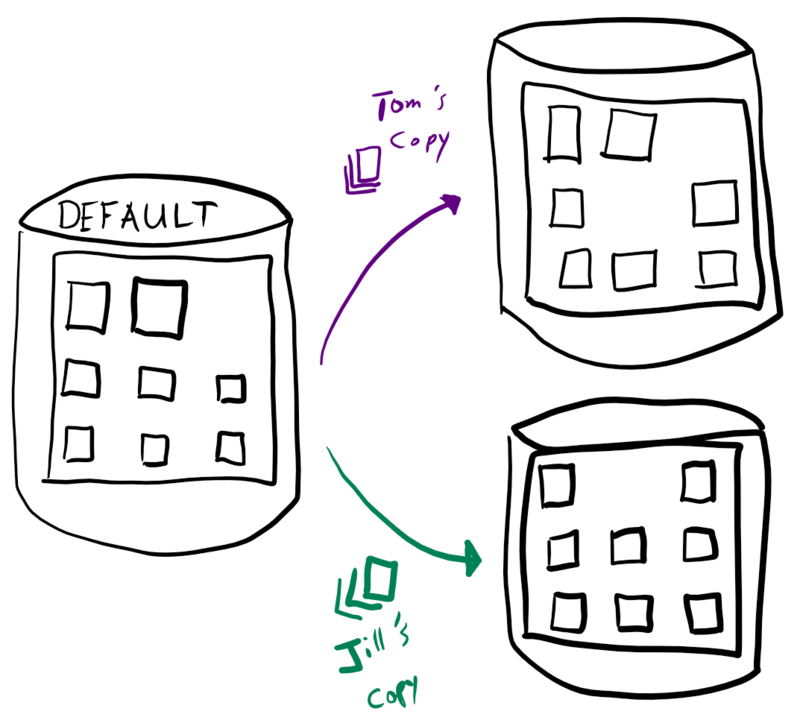 the point of configuration is to simplify Lifecycle Management. 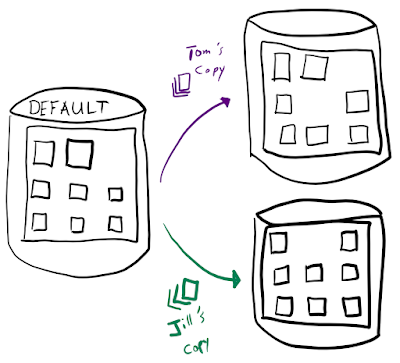 If the configuration alternative is more effort, complicating Lifecycle Management, then it is not a good alternative. It is counterproductive. 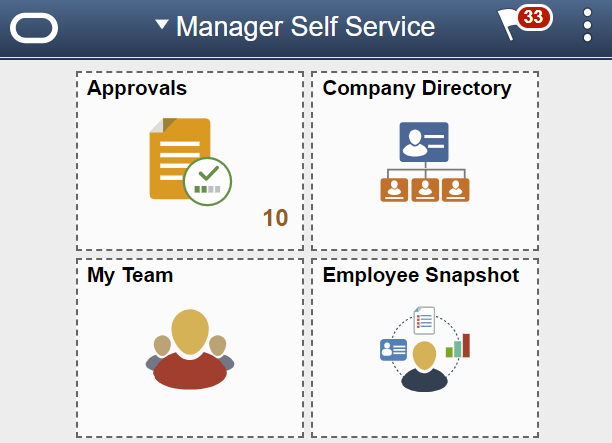 PeopleTools includes very good compare tools for managed definition customizations. It is these great compare tools that sometimes make customizations simpler to maintain than configuration alternatives. This is not the case (yet -- I say "yet" because I believe this will change in the future) for configuration options that may become invalid (or broken) during an update/upgrade/selective adoption. Using your browser's developer tools, mock up the changes desired. Be sure to make your selector more qualified than Oracle's. I suggest including the ID of a higher level element, but do NOT use an ID that starts with win0div as these IDs change with every New Window launched from the base PeopleSoft window. Copy these changes into a new PeopleSoft free-form sub stylesheet. Add this new stylesheet to PSSTYLEDEF_FMODE. Visit a Fluid transaction page to identify further changes required to finalize the Fluid branding theme. How does this work? Unlike the branding module, which replaces and/or changes Oracle-delivered CSS, we allow Oracle's CSS to be sent to web browsers unchanged. Just as before the customization, a user's web browser will parse Oracle's CSS, building a list of rules. But when the browser reads our rules injected at the very end, the browser will ignore Oracle's rules because ours will be both more specific and interpreted last. What about Classic and Classic Plus? Same principle, just a different stylesheet. Classic uses PSSTYLEDEF_TANGERINE and DEFAULT_THEME_FLUID. I prefer PSSTYLEDEF_TANGERINE because it is a structured stylesheet, allowing us to inject one object, very minor customization. What about Lifecycle Management? When applying PeopleTools patches and updates, it is very likely Oracle will replace PSSTYLEDEF_FMODE, erasing your one-line customization. Restoring the customization, however, is trivial. Just re-insert the free form sub stylesheet. It is possible that Oracle may change the HTML structure of Fluid and Classic pages resulting in CSS selector modifications, etc. We, therefore, must test after every update and be prepared to modify accordingly. However, I have used this approach with Fluid from 8.55 through 8.57 with no updates necessary. If it is optional default, what happened to the default part? 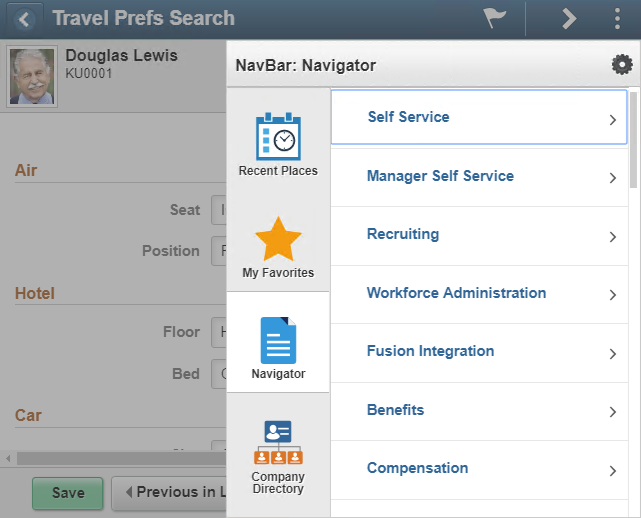 When users personalize their homepages, PeopleSoft clones the current state of the homepage into a user table. Let's say Tom and Jill both personalize their home pages. Tom will now have a personalized copy of the default configuration and Jill will have an entirely different personalized copy. Administrators will continue to insert optional default content into homepages, but Tom and Jill will not see those optional default tiles. Tom and Jill's homepages are now detached from the source. We can push optional default tiles into Tom's and Jill's copies by using the Tile Publish button available to each homepage content reference (in the portal registry). This App Engine program inserts a row for each optional default tile into each user's copy of the homepage metadata. Pretty clear and straight forward so far? OK, let's make it more complicated. Let's say an administrator adds a new optional default tile to the default homepage described above and presses the Publish Tile button. After the App Engine runs, the administrator notices Tom sees the tile, but Jill does not. What went wrong? 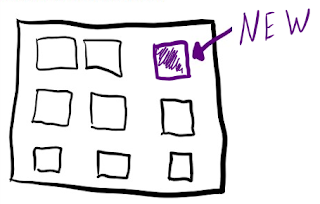 If Jill doesn't have security access to the tile's target, Jill won't see the new tile. Let's say Jill is supposed to have security access so we update permissions and roles. We check Jill's homepage again. Does Jill see the tile? No. Why not? When we published the tile, Jill did not have security access so PeopleSoft didn't insert a row into Jill's personalization metadata. How can we make this tile appear for Jill? We could publish again. If we recognize and resolve the security issue immediately after publishing, this may be reasonable. Let's play out this scenario a little differently. Some time has passed since we published. Tom has seen and removed the new tile from his homepage. One day Tom is at the water cooler talking about this annoying new tile that just appeared one day so he removed it. Jill overhears Tom and logs in to look for this annoying tile. After some searching, however, she doesn't see it on her homepage. She calls the help desk to find out why she doesn't have access to the annoying tile (that she will probably remove after seeing it). This is when you discover the security issue and make the tile available to Jill. 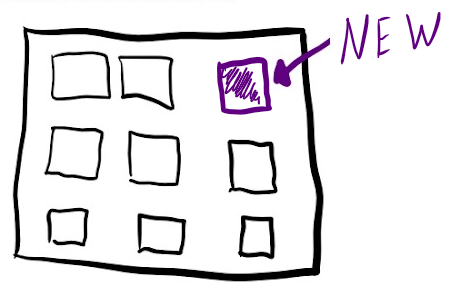 For Jill to see this tile as a default, however, you will need to republish the tile. When you republish the tile, what will happen to Tom's homepage? Yes, you guessed it. Tom will see the tile appear again and will likely call the help desk to complain about the annoying tile that just reappeared. What's the solution? At this time there is no delivered, recommended solution. The App Engine is very short, containing a couple of SQL statements. Using it as a guide, it is trivial to write a one-off metadata insert for Jill and all others affected by the security change without affecting Tom. When writing SQL inserts into PeopleTools tables, however, we must consider cache, version increments, and many other risk factors (I probably would not do this). I would say it is safer to annoy Tom. Jim' is the Principal PeopleTools instructor at JSMPROS. Take your PeopleTools skills to the next level by scheduling PeopleTools training with us today! I look forward to seeing you at Alliance 2019! Through the material in this course you will become comfortable with Fluid and proficient with Fluid development. You will learn the skills necessary to apply PeopleSoft-specific CSS and how to write your own custom CSS. You will learn several shortcuts for converting existing custom Classic pages to Fluid. With most of HCM Employee Self Service Classic set to retire on December 31st of this year (MyOracle Support document 1348959.1), there is no better time to learn Fluid. 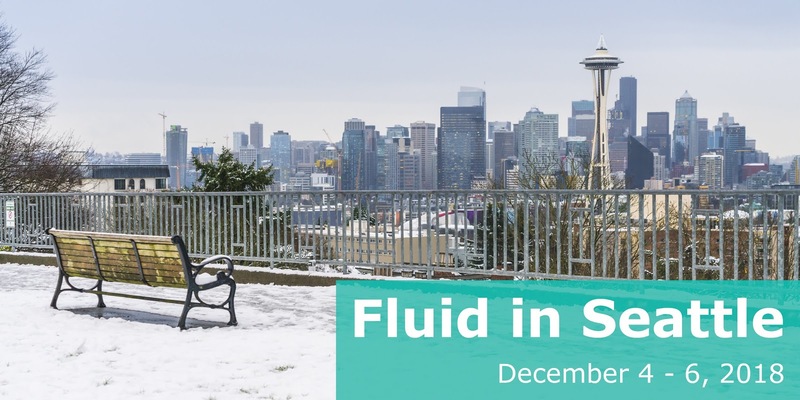 Space is limited and the early bird discount expires soon so Register now to ensure a seat in the best Fluid class available! With just over a month until OpenWorld, it is time to finalize travel reservations and surf the content catalog. As always, the session catalog is loaded with great sessions from all of our favorite presenters: psadmin.io, Presence of IT, SpearMC, Cedar UK (Graham Smith), Oracle, Smart ERP and so on. I am definitely looking forward to hearing from customers and partners at the panel sessions on this year's agenda. 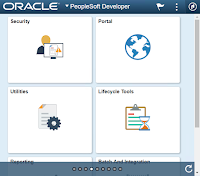 If you have room on your agenda, I would love to have you in my session, Getting the Most Out of PeopleSoft PeopleTools: Tips and Techniques, on Monday, Oct 22 at 3:45 PM in room 3016. I have spent this entire year investigating Fluid and Event Mapping and can't wait to share some new tips. Are you presenting? If so, leave a note in the comments to help promote your session. This year's catalog is quite exhaustive. Help us find the best sessions of the conference by letting us know what you are presenting. ... well... maybe not 101 ways, but there are several! Did you see something in this post that interests you? 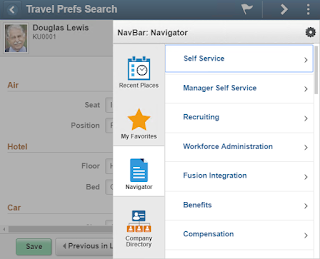 Are you ready to take your PeopleTools skills to the next level? We offer a full line of PeopleTools training courses. Learn more at jsmpros.com. "Does anyone know how to read binary Microsoft Excel files from PeopleSoft?" "We receive invoices as Excel spreadsheets. 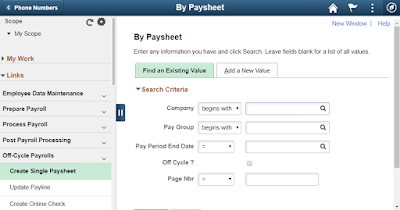 Can you convert them into AP vouchers in PeopleSoft?" 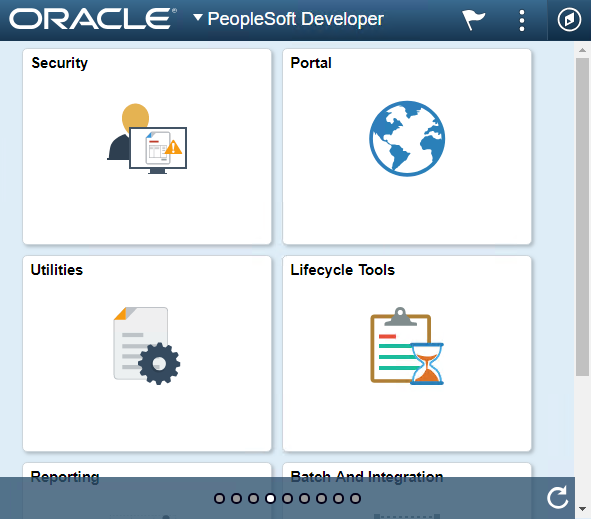 As of PeopleTools 8.54, PeopleSoft now includes POI in the App and Process Scheduler server Java class path. This means I no longer have to manage POI as a custom Java library. 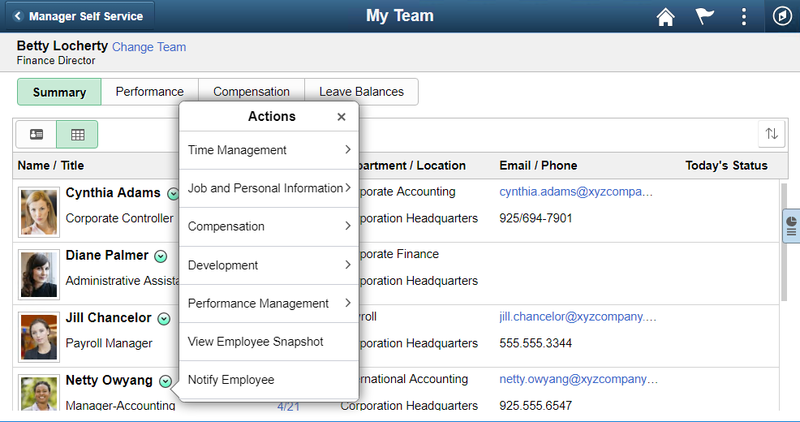 PeopleCode and Component Interfaces play nicely together. Use PeopleCode to process those rows through a component interface. Did you see something on this blog that interests you? 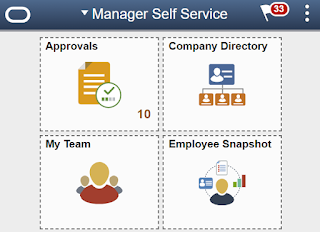 Are you ready to take your PeopleTools skills to the next level? We offer a full line of PeopleTools training courses. Learn more at jsmpros.com. SpearMC and jsmpros are co-hosting a PeopleTools Fluid training event in Redmond, Washington immediately following the Spring PeopleSoft Northwest Regional User Group meeting. Through this event I will cover the exact same material I regularly teach online, but in person for a 40% discount off the online price. 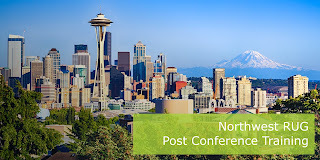 The event runs from Wednesday May 23 to Friday May 25 at the exact same venue as the Northwest Regional User Group meeting, the Seattle Marriott Redmond 7401 164th Avenue Northeast, Redmond, WA 98052. Additional details and registration information are available on the Registration Website. Please stop by Tuesday from 9:15 AM to 9:45 AM and share your experiences with Event Mapping and Page and Field Configurator or listen to experiences from others. I will bring a demo along with several use cases to spark discussion. Creating Fluid Pages // Sunday, April 22, 2018 // 12:30 PM - 4:00 PM // Through hands-on activities, students will gain experience and confidence building Fluid pages. Activities include building a Fluid page using the standard and two-column layouts, using delivered class names for layout, using PeopleCode to initialize the layout, and much more. Because this is a hands-on training class, bring your laptop to participate in exercises. This course is designed for Functional Business Analysts as well as Developers. Using Fluid to Build Better-than-breadcrumb Navigation // Thursday, April 26, 2018 // 8:30 AM - 12:00 PM // The most common reason organizations retain Classic instead of migrating to Fluid is navigation. Users love their Classic breadcrumbs and do not appreciate the Navbar. Through hands-on activities, students will learn how to build next-generation navigation that rivals breadcrumbs. This is a hands-on training session, so bring your laptop to participate in exercises. This course is for subject matter experts, functional business analysts, developers, and administrators. These are hands-on workshops. Please be sure to add these workshops to your registration when you register for Collaborate. If you are already registered, you may want to revisit your registration to add these workshops. A full list of workshops and workshop details is available on the Quest PeopleSoft Workshop page. I look forward to seeing you in April! I ran across a few blogs and forum posts from people either asking or sharing how to hide or disable radio buttons. The answers I saw appeared to address only part of the story so I thought I would share a solution. PeopleCode includes functions, properties, and methods for disabling and hiding fields. As you would imagine, A field property such as Visible will show or hide a field. What makes a radio button challenging is that a radio button represents several values of the same field. The Visible property applied to a radio button's field would hide the entire radio set, not just a single radio button. Likewise, disabling a radio button's field would disable the entire radio set. What we require is a reference to one instance of a fieldset, not the base field itself. PeopleCode includes two functions that return a reference to a field: GetField and GetPageField. The first, GetField, returns the same field reference as a standard Record.Field reference or Rowset.GetRecord.GetField. The GetPageField function, on the other hand, returns a pointer to a single instance. While this might seem like the answer, it is only part of the story. The GetPageField function does return a single instance and setting some of the properties of this single instance only manipulates the single instance. Other methods and properties, however, appear to be tied to the base field. Unfortunately, the Visible and DisplayOnly properties are two properties bound to the underlying field. Changing either of these on a GetPageField reference will hide or disable the entire radio set, not just a single instance. The only way to ensure the server never receives the value identified by the hidden or disabled radio button is to either use FieldEdit PeopleCode or Event Mapping FieldChange Pre Processing to change the value before delivered PeopleCode ever sees that value. This is part two. This is the part that seems to be missing from other solutions I have seen. What got me thinking about this? The Fluid My Team page contains a button bar that allows a manager to switch between alternate views. One of the radio buttons in the button bar is Compensation. Some organizations do not want managers to see compensation. My challenge was to remove the compensation radio button in a secure manner without customizing delivered definitions. 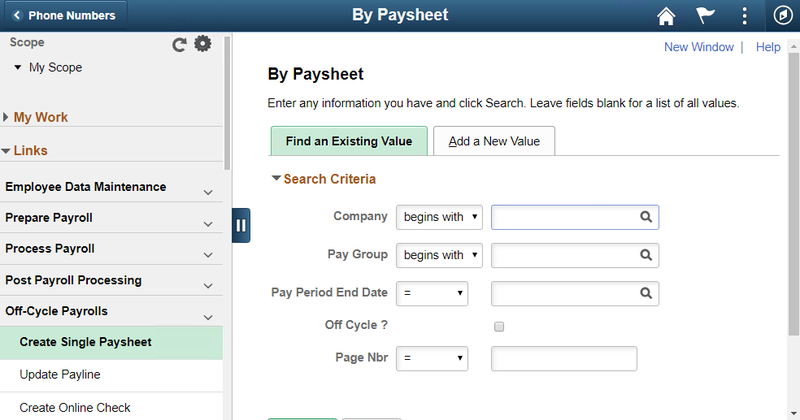 Using Event Mapping on PageActivate I was able to hide the Compensation button. 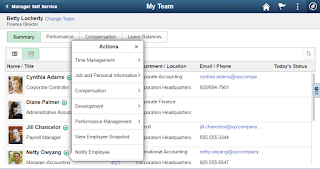 Event Mapping FieldChange PeopleCode ensures PeopleSoft never triggers FieldChange for the compensation button.